A free six sigma DMAIC Excel template to fast-track your process improvement initiatives. Six sigma methodology is one of the cornerstones of operational excellence and process efficiency. 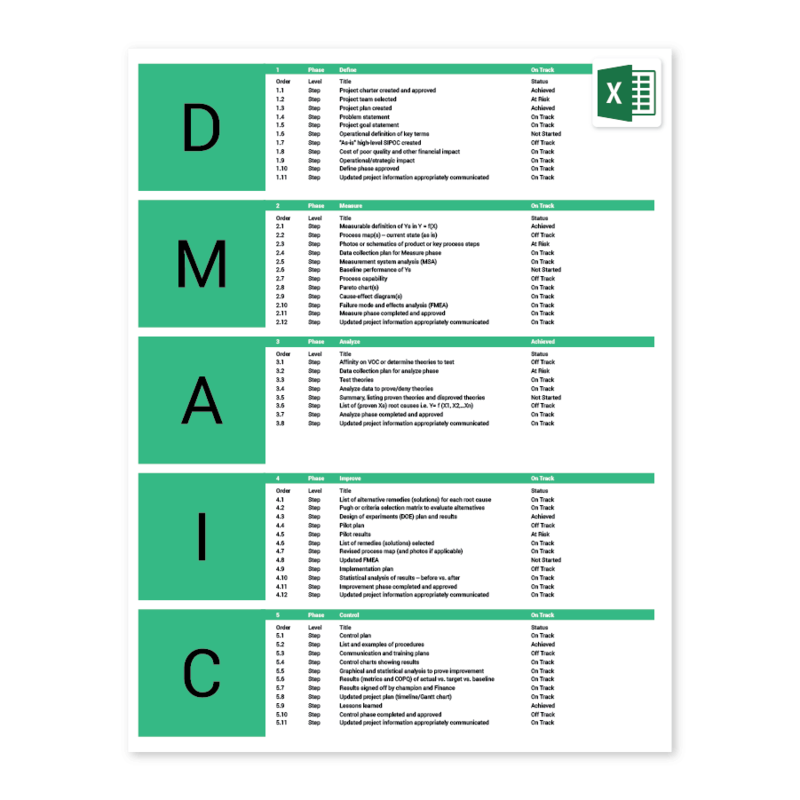 DMAIC is a five-phase quality improvement strategy that is often used to drive six sigma projects, but can also be used as its own standalone framework. Define the problem, the system for improvement and the improvement target. Measure the current state and set metrics for improvement. Improve processes based on the data analysis. Control the process, using set quality control inspection points.